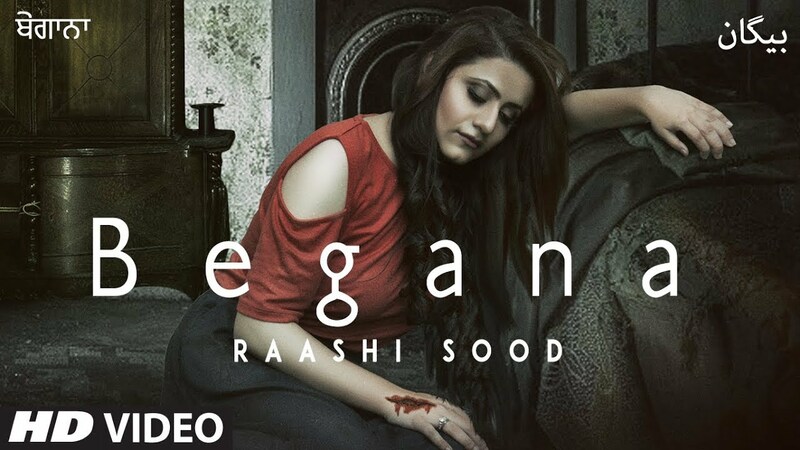 For those of you who aren’t familiar with Raashi Sood, she is a Punjabi singer, songwriter, and actress who has given songs such as “Lifeline”, “Hasseya Ch Khushi”, “Jeen Di Gal” and “Udeek”. “Begaana” was released on 3 November 2018 on the music channel of T-Series Apna Punjab, and is currently trending #30 on YouTube. The lyrics have been penned by Navi Ferozepurwala and the music has been composed by Harley Josan, and sung by, well, Raashi Sood. The music video opens up to a scene set on the Pathankot Pb 35 bridge, where Sood stands upon a dangerous height. As a flashback, we explore the days of a relationship between Sood and her on-screen partner. We start conjuring up possible reasons of her heartbreak and the injury on her left hand – has she somehow murdered her partner by mistake? The scenes quickly spiral to the typical possessive husband who’s happily cheating on his wife behind her back. Wow. So, does Sood give him a punch and finally end things with him? Back to the present, things have taken a predictable turn as Mr. Cheater apologises to his wife on the bridge – but what happens after that is truly unexpected. In the age of women empowerment, why did she have to jump into the river with dear Mr. Cheater? Why couldn’t she break his nose, grieve for a while and carve out a new and successful life for herself? Doesn’t it completely take away the point of the video where she smashes that mirror – ‘be strong’? Also, does the Punjabi monologue before her self-sacrifice (loosely translated into ‘you shall die with me because of your wayward behaviour’) really help? Maybe, this is a bit too on the face, however, Break-ups are hard, but what was that ending? Though the song could have had a message for ‘cheaters’, that last scene was a huge letdown. For if you can sacrifice your own life because of someone else’s deeds, you clearly never had an inch of self-respect at all. Previous articleGoddess Kali And The Legacy Of Killing – Does She Really Demand Sacrifice?